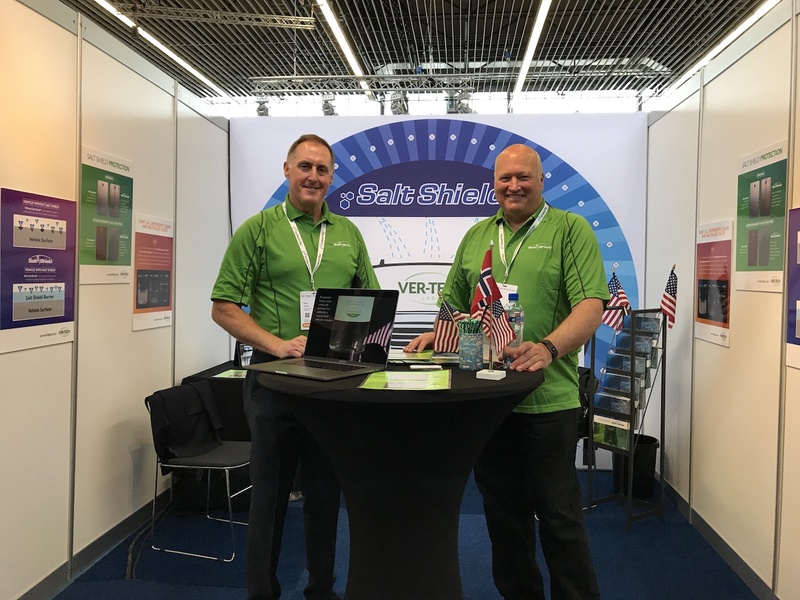 Amsterdam, Car Wash Show Europe – Tony Vertin and Ralph Brandsvoll (Norway) introduced Salt Shield® to the European market this week. Salt Shield is a low pH detergent formulated to clean and neutralize salts. There were many great discussions about how the Europeans use chemicals in their carwash and general carwashing methods. Just like the American market, Europeans were surprised to learn that corrosive salts are used all year by dust suppressants and winter deicers. Incorporating Salt Shield into their wash was a novel concept but easily understood. Car Wash Show Europe is a smaller version of the International Car Wash Association’s annual carwashing show held in the Untied States. This year is the second show and attendees came from many European countries, Canada, Israel , New Zealand and Australia. A great experience to interact with other companies and extend Ver-tech Labs’ global reach.